If you are looking for information on the Tanworld franchise business opportunity, Tan World franchises or Tanworld franchising , then you have come to the right place. "You need to understand the commitment from the company you are franchising with first and foremost ... if you are an investor that is researching a franchise system and you don't feel extremely impressed by the people, the leadership team and the overall attitude of the organization, then move on to the next company, because the relationship probably isn't meant to be!" 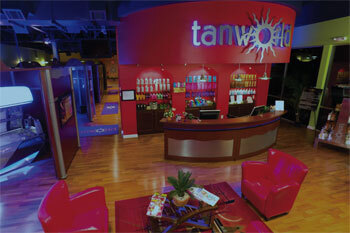 "tanworld® is now recruiting single and multi-unit investors to develop the only indoor tanning franchise of its kind. If you believe you would meet our criteria, please request more information today!" "We knew something positive was going to happen as a result of our decision to join the tanworld® franchise system. From top to bottom, the organization cared about us - guiding us in the right direction with every facet of the business ... and we had never even worked in a tanning salon prior to meeting the team at tanworld. We just opened our 9th location and we are scheduled to open our 10th salon this fall. If we had to do it all over again, we would make the same choice - the tanworld® team is like family to us!" *Exposure to UV light helps the body produce the activated form of vitamin D, which wards off a host of debilitating and deadly diseases! After all, it is... your world. your tan.